Latest figures for disc sales in the US show that, despite testing economical times, the home entertainment industry is holding steady. While the first six months of the year saw a slight 0.5 per cent decline in disc sales (to $6.17 billion) there was a 0.5 per cent rise in rentals (up to $3.97 billion) which buoyed the market at $10.1 billion (£5 billion). This is the same as last year's figures. The home entertainment sector on a whole may have remained flat, but Blu-ray disc sales were raised significantly to $200 million ($100 million) a lift of 300 per cent. Speaking about the results, Lori MacPherson, general manager for Walt Disney Studios Home Entertainment, North America. Said: "I think people are becoming pickier on what they spend their money on, but home entertainment always represents a good value. "Thirty dollars for a Blu-ray movie that you can watch over and over again is still a great value." Blu-ray's increase isn't eating into the DVD maket, however, with DVD sales remaining strong. This is backed up by the thoughts of David Bishop, president of Sony Pictures Home Entertainment: "I just got off of a trip where I visited every major retail store, and by and large, the Blu-ray sections are additive to the entire department. So there is no cannibalisation on standard DVD in the process." 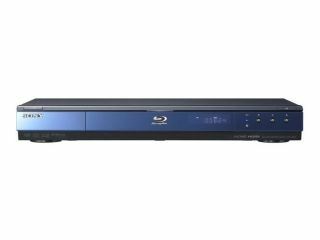 Sony is looking to push the sale of its Blu-ray machines as well, and may link this into the growth of the Blu-ray Disc market. "We want to ensure that if you buy a Blu-ray-dedicated machine, that you come out with movies too," said Bishop. "It might be that you buy the player and get a discount on [Sony] movies."